Radiant Tubes | Industrial Furnace Interiors, Inc.
Radiant Tubes – Protect your elements. 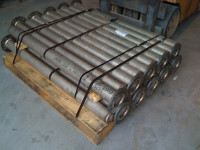 Radiant element protection tubes are typically used when an atmosphere is present in the furnace. The tube protects the elements from harsh environments which would otherwise shorten the useful life. 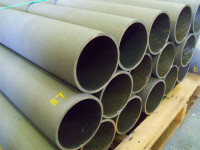 IFI manufactures radiant tubes for electric heating applications. When you buy radiant tubes from IFI, you are guaranteeing the correct alloy for the application and a perfect fit for your heating elements. You are also reducing your supply base, which saves you time and money. 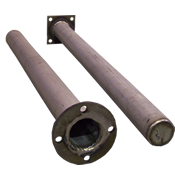 Radiant tubes can be cast or fabricated, and can be mounted vertically or horizontally.